Enjoy the best inspirational, motivational, positive, funny and famous quotes by Adolph Murie. Use words and picture quotations to push forward and inspire you keep going in life! Let us not have puny thoughts. Let us think on a greater scale. 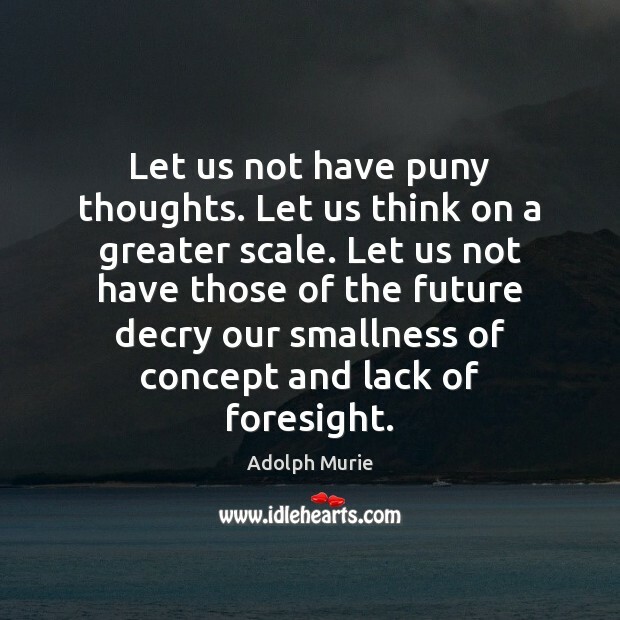 Let us not have those of the future decry our smallness of concept and lack of foresight.